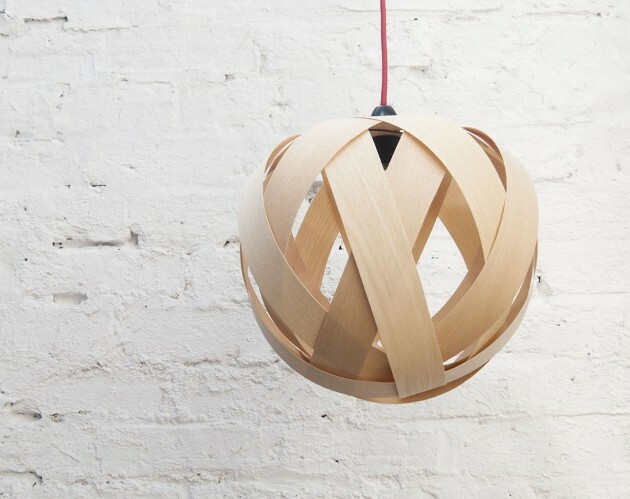 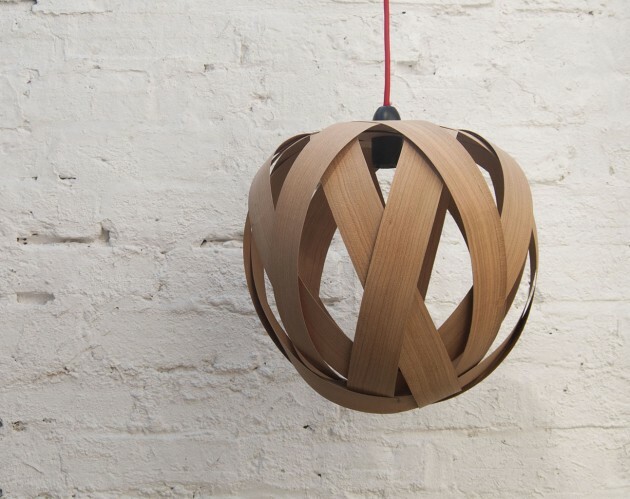 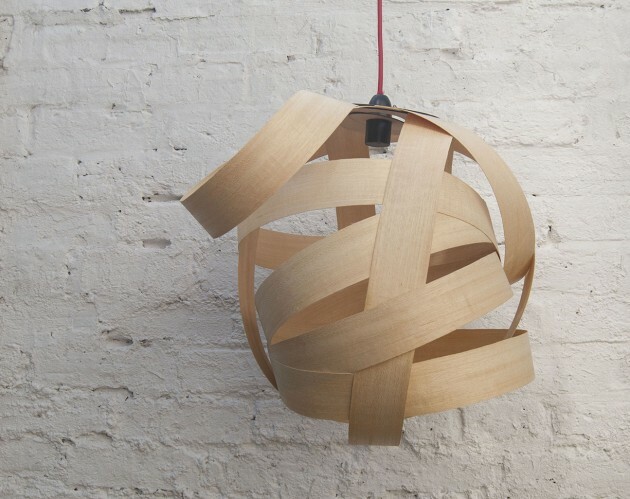 Handmade wood veneer lamp, made from ash wood veneer. 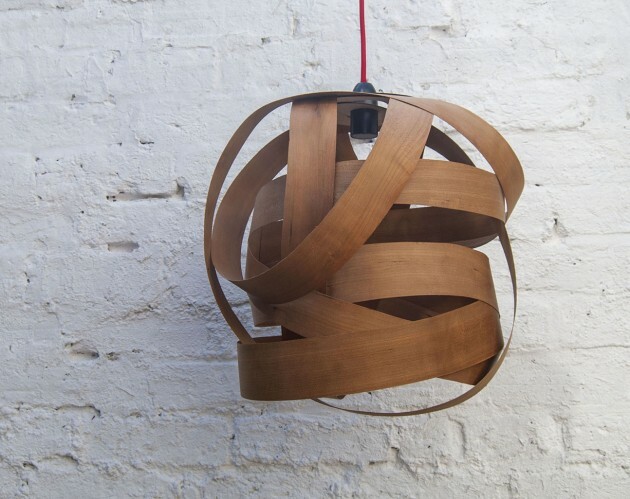 Each lamp is intuitively composed and will therefore always be slightly different from the next. 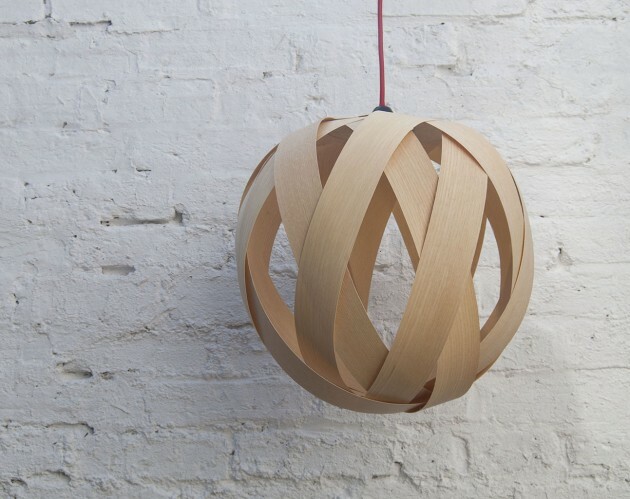 It creates a unique focal point in a lounge/living room, kitchen or bedroom, and casts beautiful shadows on walls and ceiling.